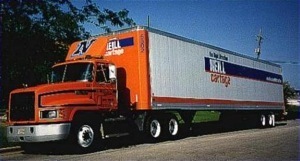 Neill Cartage & Warehouse has developed a sister company called TRN Transportation to manage freight to all 48 states. TRN's Core Carrier base is comprised of hand-selected carriers who have formed strong partnerships with TRN. The TRN Carrier Performance Management Program includes quarterly performance reviews, as well as a standardized incident reporting process. TRN only forms relationships with carriers that can provide timely and accurate confirmation of shipment status. TRN carriers are committed to providing on-time service and real-time order status. The strong commitment between TRN and its Core Carriers is focused on creating quality service tailored to meet the unique delivery requirements of the customer. The TRN Transportation Network actively recruits and develops Transportation Coordinators that are Best in Class. TRN Transportation Coordinators are experts that apply their knowledge of geography, consolidation, the Core Carrier base, and customers' delivery needs to make the best routing and shipment plans available.